Healthcare providers are increasingly being called upon to help patients navigate complicated insurance terms and service costs, especially those who work in independent practices. The difficulty of handling these aspects of health insurance – or the difficulty of pursuing medical care without it – are among the reasons why many patients avoid paying their bills. 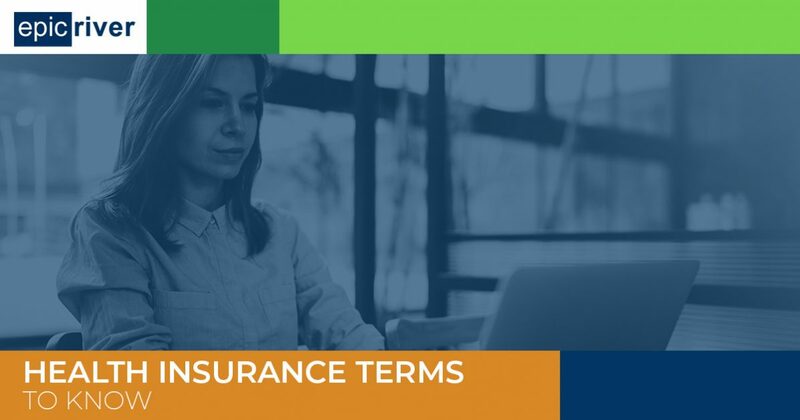 To help you and your patients better navigate the labyrinth of insurance terms, today’s blog is dedicated to the explanation of a few common health insurance terms. When it comes to handling out-of-pocket costs, many patients struggle. It may feel like there is not much you as a provider can do to help. Epic River is here to provide the solution you’re looking for. We connect hospitals to local financial institutions so you can offer your patients low-interest loans without assuming risk. The bank negotiates a payment plan with the patient, pays your healthcare facility up front and in full, and then assumes the responsibility of collecting payments. Interested? Contact the Epic River team today to learn more! The first cost many patients face when it comes to health insurance is the premium. This is the amount one pays to be covered under an insurance policy and, depending on the policy, the insured may be expected to pay the premium in installments or all at once. Several factors can influence the cost, including the type of insurance coverage, the calculated likelihood of the insured making a claim, and the competition the insurance company has in the area. This means that if a patient has medical concerns that have led them to make several claims previously, the insurance company may raise their premium. Lower premiums are often offset by higher deductibles. A patient’s deductible is the amount they need to pay for medical care before any insurance coverage is activated. There are some exceptions to this – preventive care, for example, is often covered completely or in part regardless of how close the insured is to reaching the deductible. Once that deductible is met, insurance covers a portion of medical care costs, and the patient pays a copayment or coinsurance until the preset out-of-pocket limit is reached. 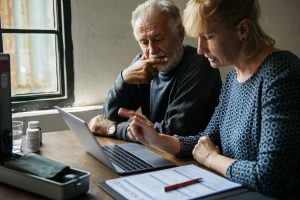 Many Americans choose plans with higher deductibles in order to pay a lower premium – 2017 government data cites that almost half of Americans under the age of 65 have an annual deductible in the range of $1,300 to $6,550. Copayments and coinsurance are the costs passed on to the patient after the deductible has been met and the insurance company has paid a portion of the bill. The two terms are typically separated by the form they take – coinsurance represents the percentage of each bill the patient is responsible for, while copayments are a flat fee determined by the service or procedure (such as $30 per every visit to an urgent care center). Patients are responsible for these copayments or coinsurance until they reach the out-of-pocket limit outlined by their insurance policies, if one is set. Original Medicare, for example, has no out-of-pocket maximum spending limits, which means those covered by the plan have no end in sight when it comes to paying for deductibles, coinsurance, and other expenses. As a healthcare provider, you want to help your patients and help them stay both medically healthy and fiscally healthy. One way to accomplish this is to offer a patient financing program that connects them with low-interest medical loans so they can afford the cost of important procedures or services. The Epic River Patient Lending program brings together hospitals and local banks to facilitate a healthcare loan service that benefits everyone. Without exception, your patients will have access to fair loans at competitive rates and your business will be paid up front and in full for services rendered, because the banks use their resources and expertise to help your patients navigate repayment plans. Epic River even simplifies the process with an easy-to-use web platform and fast, secure eSignature services. Explore our site to learn more, and contact Epic River today to get started.